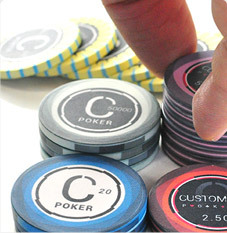 With CUSTOMPOK, easily create customized ceramic poker chips via this customization module, in 6 steps. No knowledge in infographics is required! 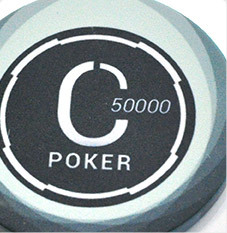 The customization of your ceramic poker chip is automatic and can be done within 5 minutes only! 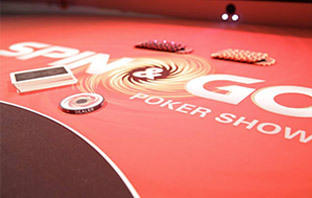 Then select the side of your poker chip: select among dozens of predefined available models. Our range contains many different and original graphic designs. After choosing the side, select the edge of your poker chip, using the same method. By default, the system will suggest the edge corresponding to the side series. 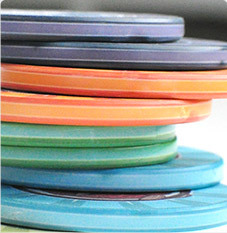 Of course, you can select any edge you want from any series you like to customize the edge of your poker chip. The fourth step allows you to choose the color and the value of your poker chip. 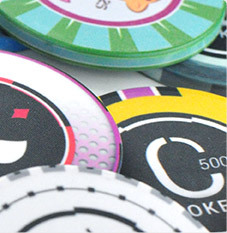 Each values is specially created for each side of the catalog in order to perfectly match the design of your customized poker chip. To complete your poker chip, one or more slides of the edge will be suggested. 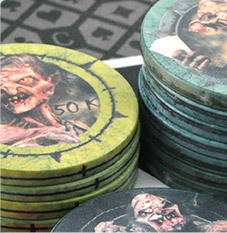 You can then validate your design to finalize your poker chip. 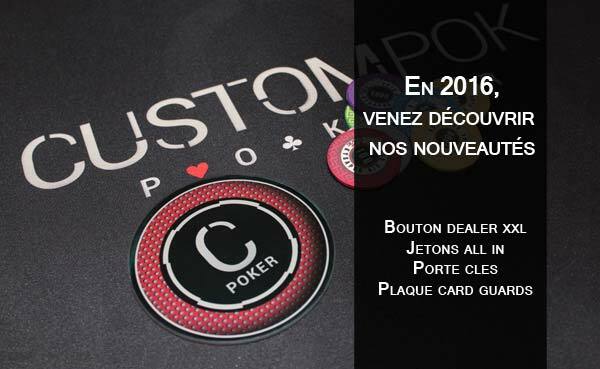 Your poker chip is registered in your customer account and can be updated at any time, in order to ease the creation of a full series. You’re done! Your poker chip is created! 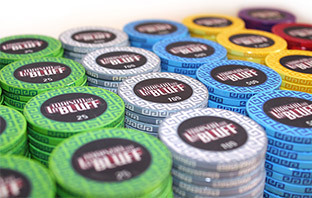 Your customized ceramic poker chips will be sent within approx. a week. 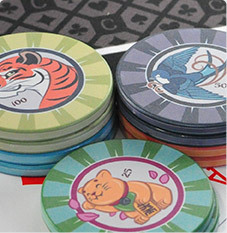 Start the customization of your ceramic poker chip. 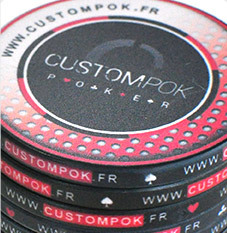 Simply download the template of the desired poker chip (different sizes are available), create your designs with your preferred software (Photoshop, Illustrator, the Gimp…) and send them to us by email after confirming your order. 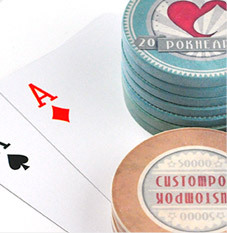 CUSTOMPOK relies on graphic professionals to add new designs to his catalog and allow you to create ceramic poker chips of very high quality, with different and original styles. We’re looking for new partners to complete our designs range. 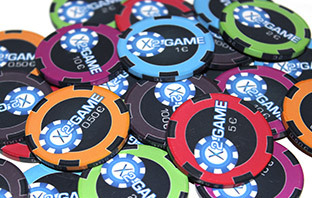 Feel free to contact us if you’d interested in adding your poker chip designs to our offer. Jetons "La Maison du Bluff 5"